The Nik plugin collection has a long history here at Northlight. Some of its plugins have been staples of Keith’s image editing workflow for many years – we’ve detailed reviews that are still relevant. Now that DxO have taken over the products, they’ve been working on bringing the software up to date. This latest version works with Affinity Photo for example. Nik Collection by DxO 2018 version 1.1 is available on the DxO website for €69/£59/$69. Users who purchased Nik Collection by DxO after the June 2018 update can update their software for free. PARIS — November 14, 2018 — DxO, one of the most innovative companies that offers imaging solutions for the general public, has announced the immediate release of Nik Collection by DxO 2018 v1.1, DxO’s second update to the creative plugin suite designed for photographers and graphic artists. 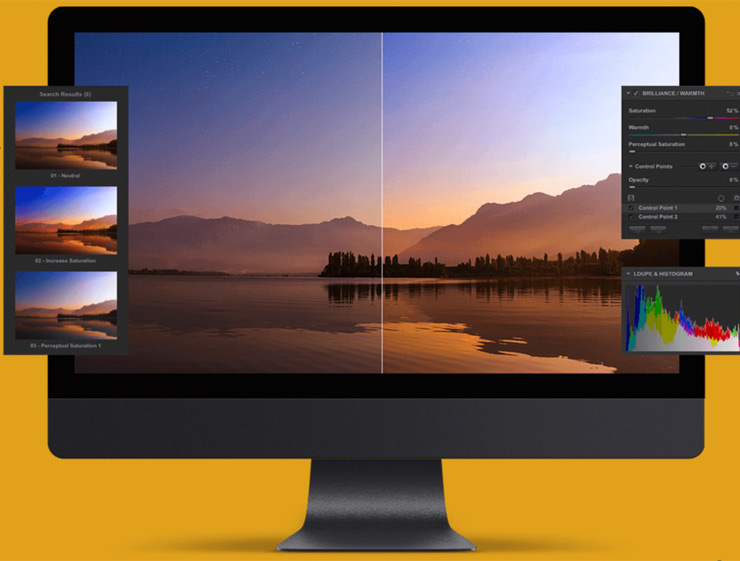 This version is completely compatible with macOS Mojave and the 2019 versions of Adobe Lightroom Classic CC, Photoshop CC, and Photoshop Elements. It also corrects a certain number of interface and compatibility issues with other host applications. To ensure the best possible user experience, the Nik Collection was optimised so it could be fully compatible with macOS Mojave as well as the 2019 versions of Adobe Lightroom Classic CC, Photoshop CC, and Photoshop Elements. DxO’s development teams have also resolved issues that were left over from the Google version of the plugin suite, including problems with freezing when installing the macOS version of the software, block effects along the edges of the image, and compatibility issues with certain colour profiles. In addition, the compatibility problems between Nik Collection by DxO 2018 and Serif Affinity Photo with macOS have also been resolved. Analog Efex Pro, a classic lens, camera, and analog film simulator. Color Efex Pro, for colour corrections, retouching, and creative effects. Dfine, which reduces noise in digital images. HDR Efex Pro, for editing HDR images. Sharpener Pro, for increasing the precision and detail of digital images. Silver Efex Pro, a black-and-white converter inspired by dark room techniques. Viveza, for locally adjusting colour and the tonality of specific areas within the image. Thanks to exclusive U Point technology, the Nik Collection by DxO plugins can be used to apply local adjustments to specific areas in the image with seamless precision. Nik Collection by DxO can also be opened with other host programs, including DxO PhotoLab 2, Serif Affinity Photo, Skylum Luminar, and other image processing software that features an export menu to a third-party program or is compatible with Photoshop plugins.